CSR has become increasingly vital for major brands to differentiate themselves. Danielle Drolet looks at how the practice has evolved. Within three years, 300 small-scale corn farmers in the Mexican state of Jalisco have increased the productivity of their land by more than 170%. In 2008, PepsiCo began buying corn directly from the farmers, assuring a straightforward price and enabling farmers to more easily maintain their livelihood. The corn project, called Educampo, a public-private alliance between Fundacion Sembrando Trabajo and PepsiCo snackfood brand Sabritas, is just one of many associated with the beverage giant's Performance with Purpose strategy, which fuels its business growth tied to human, environmental, financial, and talent sustainability. 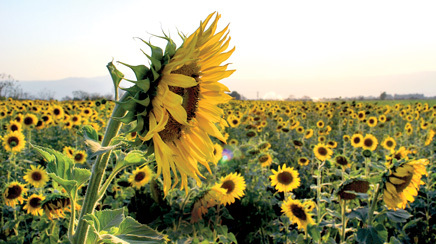 This past February, PepsiCo entered into a five-year partnership with the Inter-American Development Bank to expand commercial sunflower production throughout Latin America and the Caribbean. PepsiCo will provide loans to farmers, who will in turn provide a source of heart-healthy high-oleic sunflower oil for snacks produced under the company's Sabritas and Gamesa-Quaker brands. "When you see an opportunity where there's a development need and there's a business case, the two can actually coincide," says Derek Yach, SVP of global health at PepsiCo. "It's a true win-win using our business needs to have a stream of healthy oil and the development needs to employ our farmers." PepsiCo, along with Newman's Own, Nike, and Tide, were the brands that came to mind for US consumers when they were asked to identify companies that are placing the same or more importance on supporting a good cause as they do on profits, according to Edelman's Good Purpose Study 2010. In addition, the research reported that 86% of global consumers believe business needs to place at least equal weight on society's interests as on business' interests. The study surveyed 7,000-plus consumers across 13 countries between the ages of 19 and 64. "Social and environmental issues are so big around the globe that no one entity can solve them," explains Carol Cone, MD of brand and corporate citizenship at Edelman. "It's about coming together in very inter- esting and unique ways." "Purpose is now the fifth P," adds Cone. CSR, or "purpose," which in the early 1980s was a revolutionary concept to communicators and marketers, has been added to the venerable marketing mix, or the four Ps, joining product, price, place, and promotion, according to a number of experts in the industry. Since its onset, CSR has quickly evolved and has lent itself to new term variations of the strategy, such as citizenship, sustainability, and strategic philanthropy. Major companies are looking to keep the concept refreshed and relevant to a global audience, says Cone. "I don't believe there will be one term utilized and agreed to by everyone," she adds. "Companies are just looking at this all over the place. They are saying that we need to add this emotion and this reason for being that aligns with our business, our products, our services, and our markets - because it's a whole brave new world." Outside of the US, the emerging markets of Mexico, Brazil, China, and India are today the most willing to buy brands that support good causes, according to the Edelman study. Mexican consumers lead the pack overall with nearly 90% of citizens saying they bought a brand that supports a good cause at least every 12 months. Meanwhile, more than 70% of those surveyed in the US said they did, followed by Canada and a number of European nations between 45% and 65%. Japanese consumers were the least likely to buy a brand tied to a cause at 35%. The growing middle classes in emerging countries are particularly connected to social issues, says Cone, because they have come out of poverty. Meanwhile, the worldwide Millennial generation is also very motivated toward social change and stewardship. "There's this pent-up demand in saying, 'I want to buy these products, whether it is cosmetics or food, an automobile, or a computer, but I want the company to also get engaged in some of these social issues that are important to me and give me a way that makes it easy for me to get engaged,'" she adds. If PepsiCo's current farming programs are successful, Yach says, the company will think more globally, particularly across emerging markets with similar opportunities. "If you want to expand fruits, vegetables, nuts, or grains, that's got to be grown somewhere," he adds. "How can we think about the sourcing in a way where its development benefits alongside corporate benefits?" Collaboration of governments and NGOs in such global programs is a growing development in cause strategies, too, says Patricia Molino, VP of public affairs and corporate citizenship at Johnson & Johnson. In fall 2010, the company launched a five-year women's and children's health initiative under its charitable con- tributions function. The philanthropic plan aligns with the United Nations' call in April 2010 for a renewed effort to achieve its millennium development goals of reducing mortality in women and children by 2015. "When you're on the ground, you often have both large and small community groups focusing on the needs of those markets, environments, and countries, and you need to have their capability, knowledge, and expertise," says Molino. "At the same time," she adds, "you need government engagement because government facilitates and makes it possible to do things in these local markets that would be extremely difficult without its participation. And you need someone like the UN, who is the overarching perspective and can see how it's all put together. We find that partnerships are what make these programs work far more effectively than had we just simply tried do it alone." For J&J's global women's and children's initiative, the company has paired up with more than 200 organi- zations, including the Elizabeth Glaser Pediatric AIDS Foundation, Save the Children, and UNICEF, among others. The program, being implemented in more than 50 countries such as China, Brazil, India, the Philippines, and Vietnam, includes free mobile phone messages on pre-natal health, clinic appointment reminders, and calls from health mentors; a donation goal of 200 million doses of mebendazole, a treatment for intestinal worms in children, as well as prevention education; research and development of new treatments and antiretrovirals for HIV and TB; peer education programs on safe birth to prevent mother- to-child transmission of HIV and reducing the life- threatening condition birth asphyxia; and upgrading healthcare facilities for pregnant women. "When they do their anti-worm program in Africa, they are helping in a true and deep way with populations to be healthier," adds Cone. "That gives them a license to operate so that the governments are more amenable to working with them. That's very powerful in emerging countries." J&J's cause efforts are deeply rooted in its history. In 1943, former chairman Robert Wood Johnson crafted the company's credo. "It's very formalized," says Molino. "Our contributions activities really come out of the idea that there are needs in society that we have an obligation as a company to help address. With a lot of other companies, cause-related marketing drives their contributions. For us, contributions continue to be a function, a set of activities that is in the first instance about what is the need and not much about what we are trying to sell to the consumer." J&J continues to refresh and modernize its citizenship strategies, most recently through the expansion of its mobile health service outside the US. Molino says it's very common for women in impoverished countries to own a cellphone because of its affordability and the fact it does not require as complicated and costly an infrastructure as a landline. "We are thinking a lot about mobile," Molino says. "J&J has really done tremendous work in looking at the potential of mobile technology to achieve health goals in the global space and there's just a real commitment to do more there. This is the first one, mobile health for women and babies, but I am hopeful we will do more there." CSR activities are not always well received. Efforts tied to promotional campaigns, says Ruder Finn CEO Kathy Bloomgarden, can often leave consumers skeptical. In March, Microsoft search engine Bing asked Twitter users to retweet its Japan relief effort post in exchange for the company making a $1 donation per retweet. People were outraged and deemed the campaign self serving. "CSR activities that are part of promotional campaigns can often miss the mark," she explains. "Multinationals should engage in efforts directly tied to the company's mission and skill set. This will reinforce the credibility and the trust with stakeholders these efforts engender. Brand-building through CSR is a long-term process that requires continuous attention, with an inevitable series of peaks and valleys, but these programs have the opportunity to connect with consumers on a deeply resonant emotional level that goes beyond the utility of their products." Larger companies, such as J&J and PepsiCo, may have more mature CSR programs, but Cone says the vast majority of organizations are just now realizing that they must incorporate social, environmental, and governance filters into how they run their businesses, as well as developing forward-facing initiatives to put greater emphasis on their ethos and behavior. "You have these very globalist leaders who understand, 'I just can't sell something,'" she adds. "'I have to be part of the world. I have to understand where I source the material, how I put it together, how I treat my employees, and how I go to market. It's about the added value of engaging with consumers in that product or service or b-to-b, and then how I dispose of it.' It's called end-to-end responsibility."